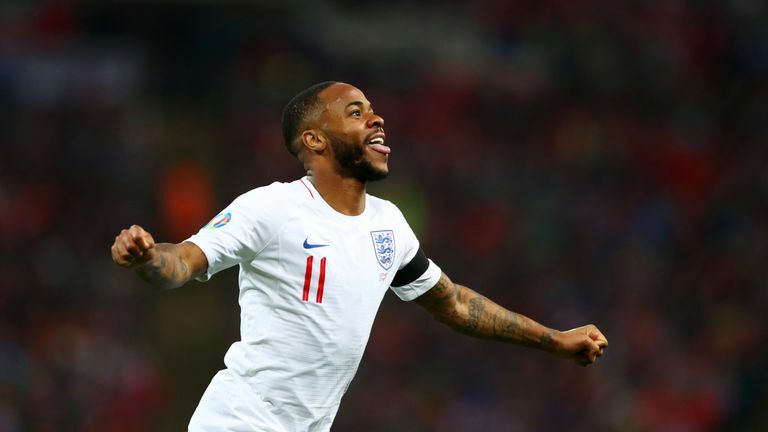 Watch highlights of England's 5-0 thrashing of Czech Republic, with Raheem Sterling netting a hat-trick at Wembley. England raced to their joint-biggest win under Gareth Southgate with an all-star performance in their opening European Qualifier, and Sterling at the heart of their good play. He scored the opener from Jadon Sancho's cross 25 minutes in, before Harry Kane netted from the spot on the stroke of half-time. Two Sterling goals in six second-half minutes sealed his hat-trick, before an unfortunate own goal from Tomas Kalas - finishing off after debutant Callum Hudson-Odoi's shot had been saved - rounded off the scoring. To watch England's five-star performance, click play on the video above.